The retreat will focus on intensive crop production workshops, and include farm tours; hands-on learning at small-scale fruit, vegetable, and cut flower operation; plus presentations on sustainable soil management, crop production techniques, farm planning, and the marketing of goods. Both veteran and active military members are invited, but interested participants are urged to register ASAP, as there are only 24 spots open to military personnel and their families. 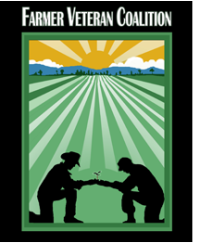 The Farmer-Veteran Coalition (FVC), the National Center for Appropriate Technology (NCAT), and the Risk Management Agency of the USDA have led the organization and planning of the event. The Pennsylvania Association for Sustainable Agriculture (PASA) is appropriately handling the farm tours, logistics and presentation.